I combine shipping with any other items from my inventory by total weight for priority mail shipping. Thanks! The Gourmet Rose Simply break off a chunk and form into shapes. It is a softer, pliable soap and simply wonderful! The Gourmet Rose Fresh Imported 5 LB of ORGANIC AFRICAN BLACK SOAP BEWARE OF IMITATION BLACK SOAP! SOME CALL THEIR HANDMADE SOAP, "BLACK SOAP" BECAUSE THEY DYE THE SOAP BLACK. REAL AFRICAN BLACK SOAP IS NOT REALLY BLACK, BUT A BROWNISH COLOR AND DOES NOT CONTAIN ANY DYE AT ALL. Our black soap is not made by us, we leave this to the professional Black Soap makers for the very best product possible. All our Black Soap is naturally hand-made from the continent Africa, mainly Nigeria, Ghana, and Kenya. - African Black Soap has a deep cleansing effect. -African Black Soap Suits all skin types. Good for babies and sensitive skins too. - African Black Soap is very sharp and does not leave a film on your skin. - African Black Soap restores skins damaged from excessive use of bleaching creams and chemicals. 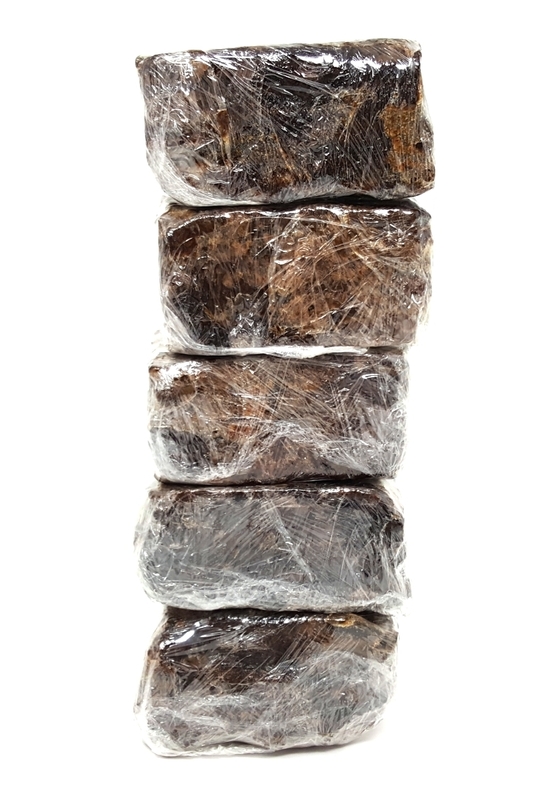 - African Black Soap heals chronic eczema, acne, pimples, freckles and dark spots. - African Black Soap cleans deep into pores to activate the regeneration and rejuvenation of the skin. - The antiseptic effect of African black soap prevents rashes, itch, dry and scaly skin from developing. - African Black Soap like any other good African Black Soap does not have animal testing involved. - Due to the level of professionalism, our African Black Soap does not have any child-labour involved in the making. Active ingredients in Black Soap: Water, cocoa pod ashes, plantain skins ashes, and palm oil. It possesses many curative and healing properties as well as enhancing the appearance and feel of the skin. This is the type of Black Soap intended for use on sensitive skin and hair. African Black Soap traditionally made in Ghana, West Africa (this kind is also made in Nigeria, West Africa) Totally organic, this black soap is the REAL thing! This does not contain fragrance, which some skin types are sensitive to. Black Soap is also known as Anago Soap or Alata Soap in Ghana, and as Ose Dudu in Nigeria. Our Black Soap is made from roasted cocoa (chocolate) pods, plantain skins ashes mixed with palm oil. Black Soap is especially recommended for the very young and the elderly, or anyone with tender skin. It leaves the skin smooth and soft. It also works well with the use of moisturizing pure African Shea Butter (which we also carry in our store). Raw Black Soap is prized for its quality antiseptic properties and for its gentleness on the skin and hair and we are glad to bring this to you at a fabulous price! Active ingredients in Black Soap: Water, cocoa pod ashes, plantain skins ashes, and palm oil. No DETERGENTS No SURFACTANTS No SULFATES No CHEMICALS No COLORS OR DYES No PERFUMES OR SCENTS No SUGAR SOLUTIONS No ALCOHOL SOLUTIONS NO SLS OR SLES Yes 100% Soap Yes, Vegan (except milk in goat's milk soap) Yes, 100% All-Natural Yes, 100% Vegetable Soap Yes, Hypo-Allergenic Soap is Non-Comedogenic Yes, Biodegradable Thanks for visiting and be sure to check out my other great items!